Fiber, B vitamins, magnesium, and iron are just a few of the extra value-packed nutritional benefits of grains. But for those of us with Celiac disease or on a gluten-free diet, you may be thinking that your choices are slim to none, but that’s not necessarily true. Many people are aware of the most common grains but there are some little known grains that are gluten-free naturally and pack a powerful healthy punch if you include them into your diet. Although most people think of it as a grain, quinoa is actually a gluten-free super seed, from the Goosefoot plant, and is part of a group of pseudocereals, making it neither a cereal nor a grain. It can be cooked and used in recipes just like rice, but this little seed packs a powerful health punch. The history of quinoa dates all the way back to the Inca civilization. The Incas considered it to be a sacred grain and for a very good reason. Quinoa is considered a complete protein. It is also full of fiber. Quinoa is a perfect way to start your morning, and the fiber will help you feel full for the day. You can add things such as chicken broth and eat it for lunch, or add some honey and maple syrup with cinnamon for a tasty and nutrition-packed breakfast. Just like the Incas and their quinoa, the ancient Aztecs knew that chia was a powerful substance and main staple for their diet. Chia is super packed with Omega 3’s, loaded with protein, and one of the lowest carbohydrate grains. For this reason, many athletes are turning to chia as part of their daily winning game. Being high in antioxidants increases the value of chia in your diet as well. The ancient Aztecs also knew that this grain was valuable to them. They not only included it into their everyday diets but also offered it as part of various rituals and ceremonies. 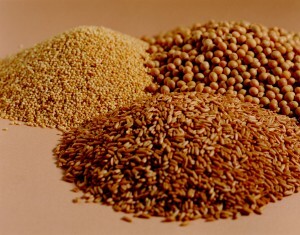 Plant proteins, amino acids, lysine, calcium, vitamin C and iron as well as a high fiber content make this particular grain the one that has it all. When using sorghum in gluten-free baking, it mimics gluten, so it helps to make your gluten-free bread more elastic and better tasting. I hope you try some of these little known, gluten-free “grains” in your baking and cooking. Let me know in the comments below if you do. This entry was posted in Healthy Ingredients and tagged Cooking, Gluten-free. In order to remove stress from your kitchen, you have to have the proper tools. A mechanic wouldn’t try to repair a car without his wrench, and you shouldn’t try to prepare food without the proper kitchen tools. The right tools will go a long way in removing stress while cooking. Some of these tools I’m suggesting to help de-stress your kitchen may be a little unorthodox in a few areas, but they are still absolutely necessary to organize, prepare and execute great meals. Yes, your little yellow semi-sticky friends should be kept on hand at all time in the kitchen. I’m not sure that my sister could pull off a holiday meal without these little babies. She even uses them to remember which bowl is holding which food. (I’m pretty sure she got that little tip from an old Martha Stewart show.) She uses them to write down lists of groceries used-up materials, cooking times, recipes and even reminders that the pumpkin pie in the oven should not begin to smell and look like a rubber tire on hot pavement. An essential part of a stress free kitchen. Just ask any chef what their most beloved kitchen tool is and they will very likely say their knives. I have a couple of different knives that I use for different jobs in the kitchen, but if I am going to be cooking in someone else’s kitchen, I always take my knife along to use. Your knives MUST be sharp. A dull knife makes chopping almost three times as long, plus you cannot do intricate work with a dull knife. Even if you’re not carving swans into the rinds of cantaloupes, you are twice as likely to cut yourself on a dull knife than on a sharp one. Keeping your tomatoes in pristine shape and your bread in actual slices will definitely help keep the stress down as well. Having a plan or a menu handy for what you are going to prepare will make life a lot easier. With your plan, you can determine when things need to go on to the stove or come out of the oven. When you are just winging it, there is a higher chance you will forget an essential part of your meal and the rest will have to sit and get cold while you correct your mistake. Make a plan and save yourself some stress. Yes, I said it. A radio is probably the most important tool I have in my stress-free kitchen. By radio, I mean CD player, iPod, Walkman, whatever you have that makes the noises you like to jam out to. Music has been shown to reduce stress and when combined with another task, like test taking or cooking, for that matter, you become more focused on the task you are doing. With your new-found focusing abilities, your plan, a sharp blade, something to ding at you and a wall covered with yellow sticky paper, you are now ready to have a stress free holiday cooking experience. While these aren’t your typical tools, give them a try and see how well they work for you; feel free to adapt them and alter them to fit your needs and ability. Most importantly, get in the kitchen and start cooking for your friends and family because great relationships and fantastic conversation are built at the dinner table. 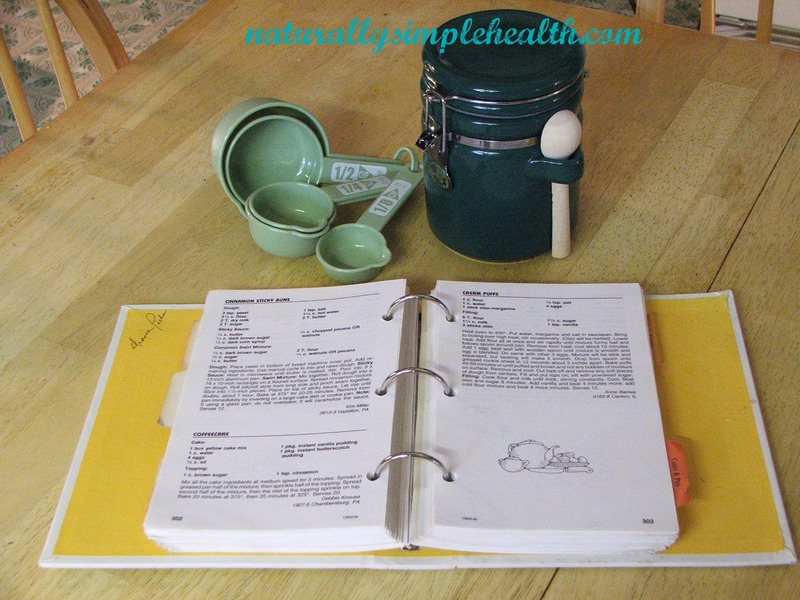 This entry was posted in Family Life, Kitchen Tools and tagged Cooking, Family Life. With Thanksgiving just a few short days away, I thought I would offer up some tips to help make your holidays a little less stressful. Everyone longs for stress free holidays, especially when it comes to cooking for large crowds. Here are 10 simple tips to keep your holiday cooking stress free. 1. Plan ahead – It is important to have a plan ahead of time, especially if you are cooking for a large group. Planning ahead keeps you from having to make split-second decisions when you are supposed to be cooking. 2. 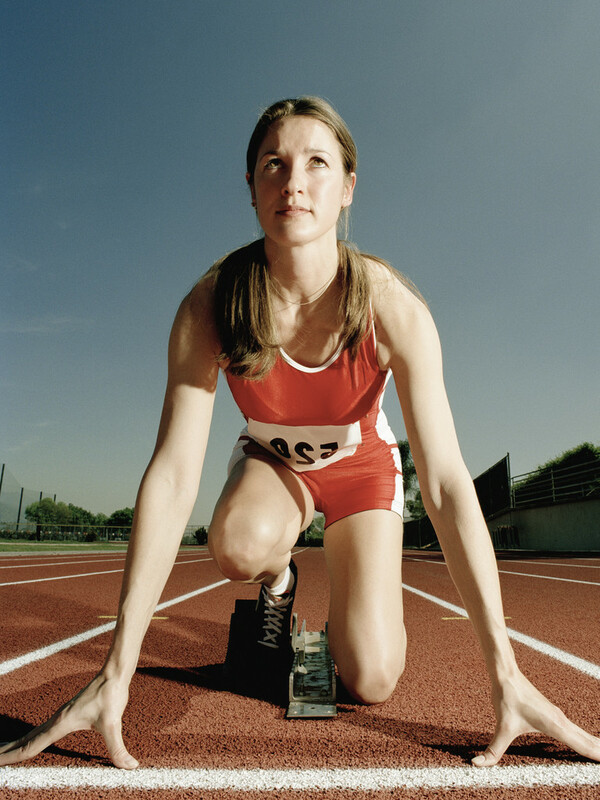 Prep ahead – Once you have your plan, it’s important to begin to prep as soon as possible. This can be done several days in advance. For instance, if you have to dice a bunch of vegetables, you can probably get that done two to three days in advance and store them for use. Same with making stock or broth; make it a week in advance and freeze for use. Prior prep work makes for a smooth cooking day. 3. Don’t be overly ambitious – Just because you think you can pull off a full five course professional meal with one oven and a dog that eats crumbs off the floor, doesn’t mean you need to show off your skills for the first time with 30 hungry people waiting. Keep your meals simple yet elegant and not only will your stress levels be down, but so will the stomach growling of your family and friends. 4. Time plan – One of the hardest things to accomplish is getting everything ready on time so it comes out hot, all at once. This is a simple thing to figure out, but many people don’t take the time to think about this ahead of time. Take a look at what you need to cook, how you are going to cook it, (i.e. stove, oven, crock pot) and how long it takes to cook. Once you have those figures, just walk back from the time you are supposed to have company in order to figure out when you need to put stuff on or take it off. 5. Use simple recipes – Using one pot, or simple recipes that do not call for a mess, can keep your life simple as peach cobbler (which also uses one pan). The fewer pans you use, the better off you will be. There will be less to clean up and less you need to worry about finishing at the same time. 6. Clean as you go – This is one of my all time favorite tips, and one I have not been able to teach my dear hubby. Not every recipe calls for single pan usage, so if you have to dirty more than one pan, cleaning as you go will reduce stress big time. Keeping your area clean is a major stress reducer, especially once the food is cooked and ready. 8. Reduce movements – While music might take the mental stress out of the picture, reducing your movements will help to take the physical stress off. Grab a trash bowl to put on your counter and throw everything in there so you are not walking back and forth to the trashcan. Organize your kitchen to help you find things quickly and lower the stress level every time you don’t move. 9. Delegate – Stress usually happens because you have too much stuff to do and not enough time to do it. If you have any children, now would be a good time to delegate and de-stress. Having some people to help you out can reduce stress quickly and efficiently. Who says you have to make everything. Have guests bring a dish to share. 10. Clean out your fridge ahead of time – Nothing is more stressful than ending a fantastic meal, only to find out there is no room in your fridge for the leftovers. Having a clean fridge will help reduce the after-party stress. A clean fridge means less work for you and less chaos trying to keep the food from spoiling. 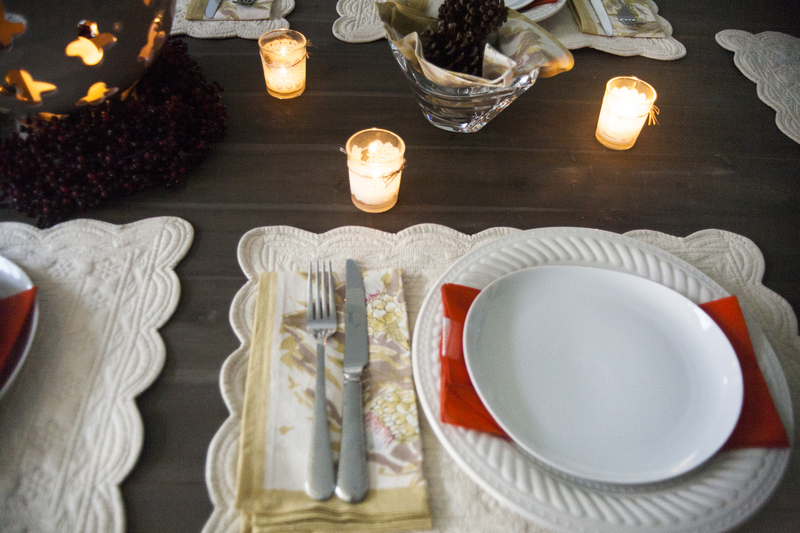 By following some, or all, of these simple tricks, you can de-stress your holiday gatherings. Grab your knife and cutting board; flip on some tunes and start whipping up a storm of scrumptious goodies. 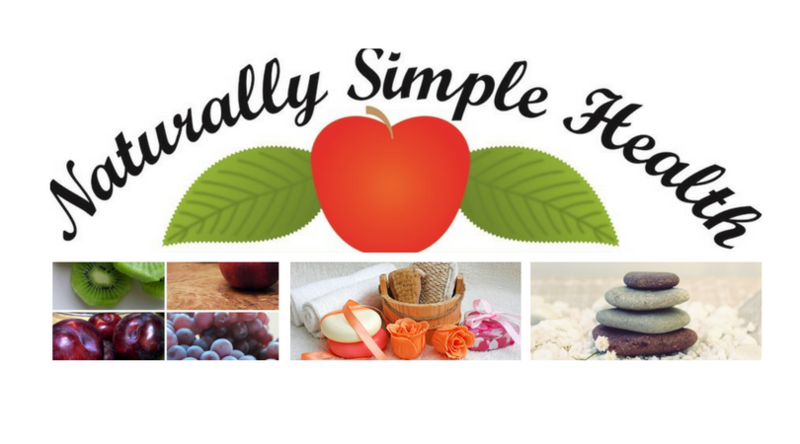 This entry was posted in Healthy Holidays and tagged Family Life. So you want to start cooking healthy foods, so you probably think that you need some special healthy kitchen tools to help you. For some, this is like starting from the ground up – maybe you’re new to the whole cooking-at-home thing. For others, it may be a matter of improving the healthy nature of your cooking. Whatever it is, it helps to have a list of healthy cooking equipment basics. Here are some suggestions. You really don’t need anything fancy in the way of pots and pans, but if you are just starting out and needing everything, I would suggest getting a few durable, good quality pieces rather than buying cheaper, more delicate ones that need to be replaced every year or so. This piece of kitchen equipment is a wonderful time- and nutrient-saver. I certainly could not survive cooking meals in my kitchen without my pressure cooker. If you want to cook dried beans at the last minute, you can do so in a pressure cooker. Healthy foods like brown rice that can take almost an hour to cook conventionally can be fully cooked in 25 minutes in a pressure cooker. The same is true for vegetables and meats. And because the cooking time is shortened so dramatically, valuable nutrients are said to be preserved. Pressure cookers come in various models, from very expensive, large, stainless steel models to inexpensive, smaller, anodized aluminum models. I, personally would suggest a stainless steel version, just because I don’t like using aluminum cookware due to the controversy over aluminium and dementia. I would add that if you are not used to juicing, I would start slowly so that your body can become accustomed to the juice without the fiber. I have a juicer, a blender and I also own a NutriBullet. This is the one I have: NutriBullet Pro 900 and I love it. I use it everyday to make healthy fruit and vegetable smoothies for my husband and me. 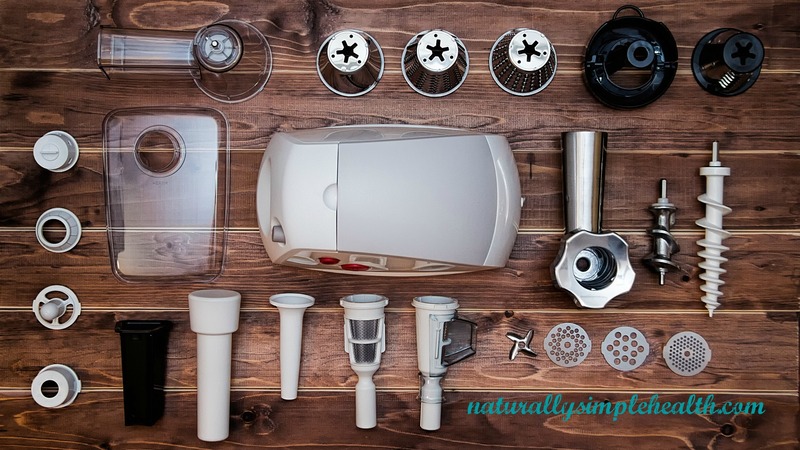 It doesn’t replace a juicer or a blender, because it doesn’t remove pulp and fiber like a juicer and it doesn’t grind up ice cubes like a blender, but if you can only afford to get one of these kitchen gadgets, I would suggest the NutriBullet. You really don’t need a full set of knives. In fact, to be perfectly honest, there are only about 2 or 3 knives in my kitchen that I use on a regular basis, along with my whet-stone sharpener. A good knife can last a lifetime, and can make a world of difference in food preparation. If you have a good knife, you can tackle whole foods like winter squash, and you can produce healthy chopped veggies in record time. A paring knife, bread knife, and large chopping knife are a good place to start. You also need a few cutting boards, different boards for different foods. Color coordinating them will make it easier to remember which food goes on which board. Red for meat, green for vegetables and so on. Also, if you’re kitchen isn’t completely gluten-free, you will want one strictly for gluten-free foods. This is not a waste of counter space. A good kitchen scale can really help you with healthy cooking. Nothing beats it for portion control, calorie counting, and precise measuring in the kitchen. This entry was posted in Healthier Living, Kitchen Tools and tagged Healthy Living, Kitchen Tools. 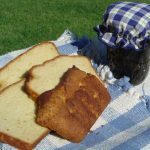 Regular glutenous bread is probably one of the hardest things to replace when you start a gluten-free diet. Why? 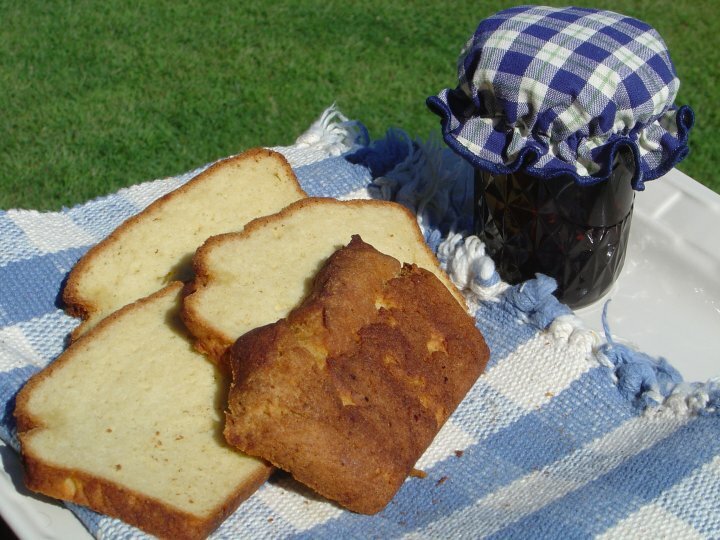 Because gluten-free bread doesn’t possess the obvious…Gluten! Gluten is what gives the bread the glue to hold it together and also gives the dough that stretchy elasticity. 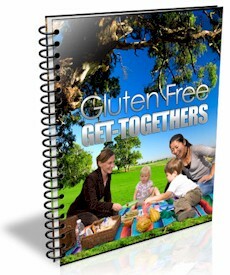 When I was first diagnosed with celiac, I tried and tried to make a good gluten-free bread. The loaves were small, dense and fell apart. I tried store bought gluten-free bread or rather mail order bought bread. It was worse! It was dry, and had a dried out sponge like texture. I got so discouraged that I stopped trying and just started eating rice cakes as a bread substitute. Well that got old real fast. So I went back to the drawing board. I finally hit on the need for Xanthan Gum. It’s been so long that I don’t remember exactly where or how I learned about the addition of it, but it mimics gluten enough that it helps to give gluten-free bread dough that elasticity. After many tries, this is the recipe that stuck. With Thanksgiving coming up, I figured that this would be a good time to share a bread recipe. Hope you enjoy it! Let me know in the comments below if you try it and what you think. 1. Preheat oven to 375 degrees. Siftall dry ingredients in a bowl. In a separate large mixing bowl, mix all wet ingredients until well blended. (I use my electric stand mixer with the dough hook attachment.) Add dry ingredients to wet ingredients, 1/2 cup at a time while the mixer is mixing and beat well, until dough is thick, but not too stiff. Pour batter into a greased loaf pan. 2. Cover and set aside in a warm location for one hour to rise. * Once dough rises, bake for 50 to 60 minutes or until edges are well browned. Remove immediately from pan and brush butter on top of bread. This entry was posted in Gluten-Free Living and tagged Healthy Gluten-Free Recipes. As I write this we are just a little under two weeks away from Thanksgiving here in the United States. I love the traditional foods of Thanksgiving. Turkey, gravy, mashed potatoes, coleslaw, green beans, pumpkin pie, and stuffing…wait, what? If you are the 1 out of 133 people that has Celiac Disease or are gluten-intolerant, Thanksgiving can be one of your least favorite holidays. When I was diagnosed with Celiac disease in December of 1986, I had a whole year to prepare for the next Thanksgiving Day, but I still wasn’t prepared for the feeling of loss. I grew up in a family where the turkey was always stuffed with bread stuffing, ie; glutened. So I had to either make my own food or beg my family not to stuff the bird. Then there’s the gravy, unless the gravy is made with corn starch, (which in most cases it is not, it’s made with wheat flour), you can’t eat that either. Not to mention the pumpkin pie for desert. This is one of the worst holidays for those of us that have to eat gluten-free. If not careful, this is the one holiday where you could very easily experience cross-contamination. But it’s not all bad news. 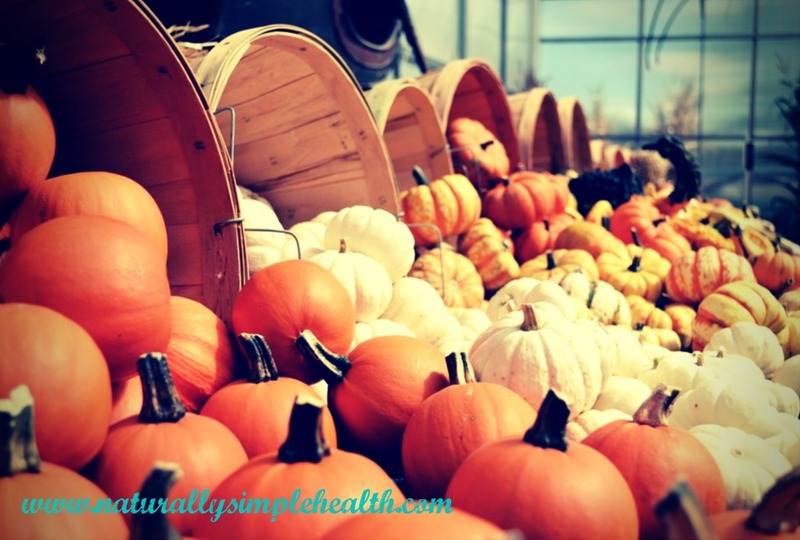 In the coming week I will share with you ways to celebrate Thanksgiving with confidence and enjoy all the foods of the holiday, with just a few ingredient changes. 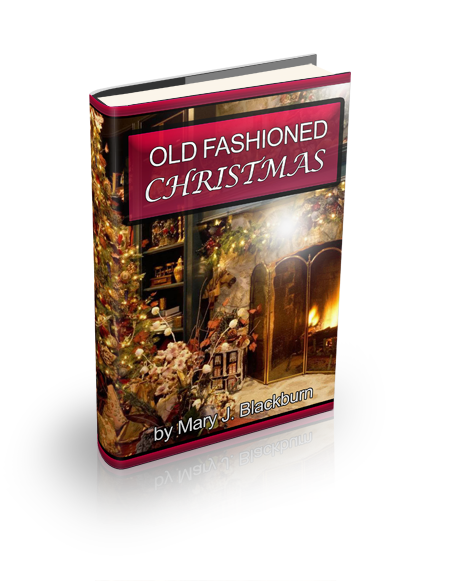 This entry was posted in Gluten-Free Living, Healthy Holidays and tagged Gluten-free. One of the top industries worldwide is weight loss. Ever wonder why that is? Because at any given time 57% of women say that they are trying to lose weight or are on a diet. It’s not easy for women to lose weight, I know, I’ve been there. If you’re trying to lose weight, or in the process of working up the courage, then be sure to check out these top seven mistakes to ensure your weight loss isn’t a losing battle. MISTAKE #1 Never getting started. There are a number of reasons why a person who truly desires to lose some weight might never seem to find the time to start a weight loss program. They might include fear, feeling overwhelmed, assuming a gym membership is required, lack of time, lack of money, or even that they just enjoy certain foods that they don’t want to give up. Another significant hold-back for some people is that they feel they have so much weight to lose, that it simply can’t be done. Just remember, every great journey started with the first step, and the great news, is that these reasons are actually myths, and you can overcome every one of them. MISTAKE #2 Weight loss through starvation. Successful weight loss is never about starvation. If you starve your body of the nutrients it needs, you’ll be doing more harm than good. The reason is that if there isn’t enough fuel in your body, your metabolism will slow down, and you’ll start to lose muscle, and not fat. In a situation of weight loss through starvation, the result is always temporary, because the fat on your body was never reduced. The simple reverse of this is to INCREASE the amount of healthy food – in particular protein and vegetables. The vegetables should be of the cruciferous kind, like broccoli, and cauliflower. They tend to have more fiber and so help to fill you up faster and keep you full longer. MISTAKE #3 – Assuming that our current diet is healthy. If you were to ask everyone you meet if they are a healthy eater, chances are most people will tell you that they are. This is because good nutrition means different things to different people. To find out if YOU are a healthy eater, write down EVERYTHING that you put in your mouth for an entire week. Don’t forget alcohol, and each little “bite, lick and nibble” as the day progresses. It’s sometimes surprising how fast it all adds up. I thought I was a healthy cook and eater, until I went to school to become a health coach and found out what healthy food really was. MISTAKE #4 – Weight loss means diet. Long term weight loss and dieting are two different things. Most people who diet, jump onto the latest fad diet and eventually the weight returns – and often with a few extra pounds to boot. In particular, many diet foods such as low-fat grocery items and diet sodas aren’t as healthy as they appear. For example, did you know that most fat-free grocery items are higher in sugar Typically, the original item is the healthier alternative. But the only way to know for sure, is to read the nutritional information on the label. MISTAKE #5 – Weight loss without exercise. There are two sides to this issue. Some people chose to lose weight with no thought given to their activity level. And others feel that tons of cardio is required. Neither extreme is ideal. And what YOUR body needs will also depend on your level of fitness. Although gym memberships, personal trainers and extensive cardio may SEEM the way to go, there are two important things to remember. Our bodies need to get moving. And if you’re someone who just can’t seem to exercise at all, consider taking a WALK a few times a week, or parking your car in the farthest spot from the mall entrance, or from the entrance to where you work. Each of those extra steps can add up. MISTAKE #6 – Lack of protein. To maintain your weight, a person needs one gram of protein for every pound they weigh. But to LOSE weight, you’ll need 1.5 grams. And this is TOUGH to accomplish. In particular, many diet programs are so rigid about portion control, that you’re actually NOT getting enough protein. If you weigh 150 lbs, then your body will need 225 grams of protein every day. And since most people have a hard time getting to the 1 gram for 1 pound mark, don’t be surprised if you can’t seem to consume 225 grams in a single day. Here are a few examples A 6 oz. steak has 42 grams. One egg contains 6-8 grams (depending on the size). A 4 oz. piece of chicken has 35 grams. To ensure success, latch onto some high protein foods. Tofu has 20 grams per half cup and a 14 cup of pumpkin seeds has 19 grams of protein. MISTAKE #7 – Not dealing with emotional eating. Ahh… comfort foods. We all have them, right Whether it’s chips or sweets, most people have a food that they gravitate to when the going gets tough. In particular, this activity is often combined with something mindless or relaxing, like watching TV or playing a game. Add these two things together and it’s a recipe for disaster. In these circumstances we don’t even realize or care how much junk we are stuffing into our mouths. One quick tip to help deal with that – right before you indulge… have a glass of water and a high protein snack. Then wait about 10 minutes before reaching for the chip bag. Once you DO reach for the chips, pour a reasonable amount into a bowl – and promise yourself that this is ALL that you’ll be having today. As you eat this snack, don’t do any other activity. Not only will you limit how much you consume, but you’ll savor each bite as the flavor becomes the focus. This entry was posted in Diet/Weight-Loss and tagged Getting Healthy. Garlic…just the word strikes a multitude of reactions from people. Many people eat it with abandon throwing stink to the wind. Others won’t touch it with a ten foot pole! 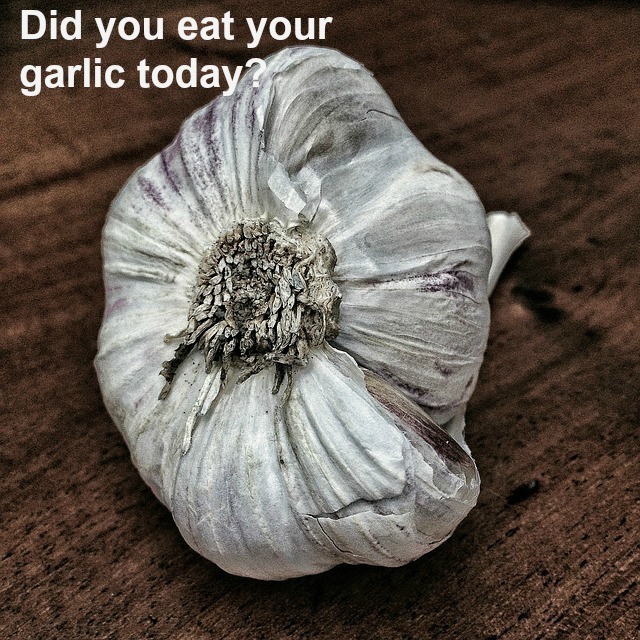 If you eat it, or even if you don’t, you know that it can make your breath, and in some people even their sweat, smell bad, but, are there any good reasons for eating garlic? Besides being a welcome addition to steak, the health benefits of garlic will surprise you! Here are just a few of them. Garlic is a widely used spice that has had a place in medicine and gastronomy for centuries. Like many herbs and spices, it got its start not at the dinner table but as an instrument of healing. Garlic is related to onions and shallots. They come from the same family. All you have to do is see it to know this. It is native to Asia. During wars, garlic was used on wounds as a healing agent. This is due to its antibacterial agents, to help fight infection. On food, the savory smell that is released can bring people running from miles around. It is a welcome addition to stews, soups and as a flavoring for steaks and roasts. Just slide a few slivers of garlic into cuts in the meat to infuse it with flavor as it cooks. In Asia, the leaves of the garlic plant are also cleaned and sauteed with vegetables and meats in main dishes. If you already eat garlic – good. You might be reaping the health benefits without even knowing it. Just like other spices, you get benefits using dried varieties but fresh is better whenever you can get it. Garlic contains a compound called allicin. Onions have it too. It is known to help lower blood pressure. Increased blood pressure, combined with other negative health symptoms can lead to a higher risk of stroke or heart attack. Eating it regularly can help reduce your risk of heart disease. Allicin is deactivated by heat, so if you are going to use garlic in your cooking, to get the most health benefits of allicin, make sure to crush the cloves of garlic and let them stand for about 15 minutes to allow a more stable and heat resistant allicin formation. Then cook on low or medium heat for the shortest amount of time. I mentioned earlier about garlic being used for wounded soldiers. It has been shown to help stop the spread of infection, both bacterial and fungal. Eating a clove of raw garlic can help ease intestinal disorders when caused by infection as well as fungal ones such as yeast. This helps to regulate the bacteria of the intestinal tract without stripping it of the good bacteria needed for your health. You may have seen garlic pill supplements in your health food store or pharmacy. They are used to help lower cholesterol, but really there is no substitute for the real thing. A more cost effective way to lower your bad cholesterol is to eat raw garlic regularly. Adding it to your diet will help get your cholesterol numbers under control. Heard of feeding a cold? Think garlic! Eating garlic can help reduce your likelihood of getting a cold or the flu. If you already have a cold, it can reduce your symptoms and help you recover faster. But because garlic acts like a natural antibiotic, if you are taking large quantities of raw garlic, make sure that you replenish your gut flora by getting a good supply of probiotics back into your body. Some natural ways of doing this is eating fermented foods. Some examples of my favorites are all natural, low sugar yogurt, kombucha and saurkraut. Garlic tastes good and it can help you fight infection and poor health. This entry was posted in Healthy Eating and tagged Healthy Living. So can you actually expect to lose weight on the Mediterranean diet? We know that the diet is touted as a really good way to reduce the risk of cancer and heart disease, and may also extend your lifespan, but when it comes to taking off the pounds, is it an effective weight-loss plan? Because, that’s really why most of us start a diet…to lose weight. That may actually be a stronger motivator than getting healthy, not always, but sometimes! Is the Mediterranean Diet just about nutrients and fats? Can you actually expect to cut some calories and see your weight go down also? 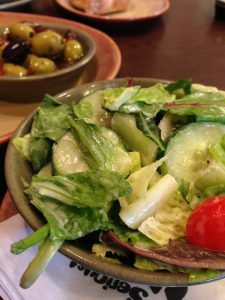 This entry was posted in Mediterranean Diet and tagged Mediterranean Diet.